Boyhood farm life in central North Dakota provided ample opportunities for Art to explore the natural worldÂ -hunting, fishing, and trapping. After earning a B.S. degree in mathematicsÂ -and working summers as a U.S. National Park Ranger at various National Parks- Art moved to Alaska in January 1974.Â As a Fisheries Technician for the Alaska Department of Fish and Game, a National Park Ranger, and camp manager for Anaconda Minerals Company, Art was able to explore and work in some of the most remote corners of Alaska and Yukon Territory. With six expeditions to the central Arctic Ocean -based out of northern Greenland- a solo Cessna flight through the Canadian High Arctic, expeditions to Spitzbergen and Siberia, and more than twenty expeditions to Antarctica, Art now consults on a variety of polar logistical issues. 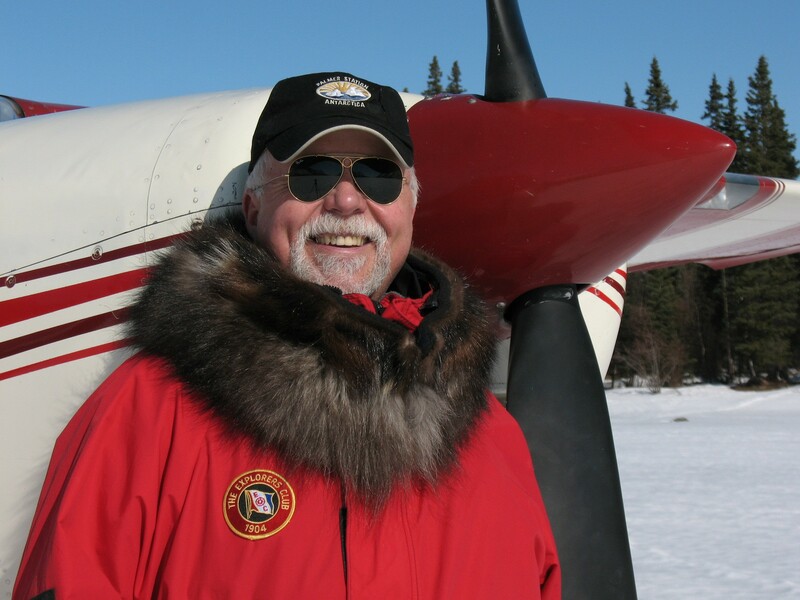 He is an Alaska Registered Guide, and bush pilot, with over 5,000 hours experience flying small aircraft on floats, wheels, and skis. After landing a single engine Cessna 185 at the South Pole, Art is now planning a solo Cessna flight to the North Pole (see his website). While airborne enroute across the Arctic Ocean, Art will carry onboard sensors identifying microbial life existing in sea ice. Ultimately, it is hoped that a similar technique may be applied to an orbiting spacecraft in the search for life on Mars and other planets. Art has a keen interest in traditional subsistence cultures; and has photographed these lifestyles in various countries around the world.Â He is a member of the Antarctican Society, the American Polar Society, the Explorers Club, and the Royal Geographical Society. In October 2009, the Explorers Club will present Art with the Lowell Thomas Award.